When you visit Dr. Burchman, for your regularly scheduled dental care needs, you can rest easy knowing that our services are pain-free. With over 40 years of experience and numerous awards to his name, Dr. Burchman will work hard to make you feel comfortable. From teeth cleaning to cavity treatments, your smile will shine brightly once again. While you’re certainly welcome to request a traditional teeth cleaning procedure, we do offer prophy-jet spray cleaning for your convenience. This form of teeth cleaning is less abrasive, and because it is a spray, it gets the areas between your teeth that the old way couldn’t reach. It also is better at removing stains – meaning patients need less scaling, and therefore, it’s less painful. The liquid used is chlorahexadine which is an effective anti-microbial. Remove staining and unwanted buildup without the scraping and pumicing of a traditional cleaning today! 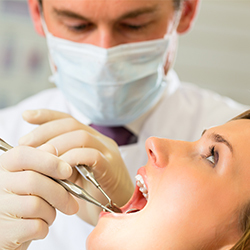 We use the latest technology available to determine if you’re suffering from a cavity. 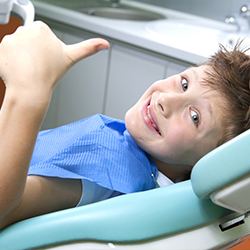 You’ll find our dentistry services to be pain-free, so don’t worry if cavities are detected!